Let her fashion shine brightly with the SKECHERS Shoutouts 2.0 shoe. 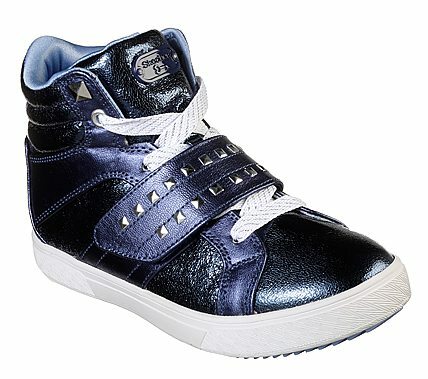 Smooth metallic faux leather upper in a lace up casual mid top fashion sneaker with stitching and overlay accents. Metallic accents, stitching detail and instep strap.